Let’s Talk TV: Is the ESPN Deal Good Enough to Justify Bailing on CUSA? There was a time when I loved the network. Today, it conjures up negative feelings in this college football fan. This network, which once sought to be the champion of all sports…the network who refused to be ignored…the same network that saw the wisdom to give ECU an exclusive contract, recognizing the appeal of an underdog…now, IMO, is the epicenter of the destruction of college football. Wielding total control of the college football world, ESPN is every bit as powerful as the BCS cartel – actually moreso since it provides the fuel that makes the engine run. We have all seen how the talking heads are all aligned on the messages that ESPN corporate wants to push. The network has created classes of football, then driving home the terminology that serves to validate it (read: “mid-major,” “group of five,” etc.) So, it is not a surprise that my initial reaction to the ESPN matching of the meager NBC bid to own top tier rights to the Big East media package was disappointment. Disappointment because to me, it indicated that NBC (which is in the ESPN family) was merely the agent of ESPN to make the offer to match a minimal one. ESPN wanted the Big East deal – don’t have any illusions – they just didn’t want to have to pay anything for it. So, they make a story of it…devaluing it every moment they could – on the air no less – so that the conference can be had for pennies on the dollar. Good business play for ESPN because they will make a big bank on this deal. But what does it mean for us? Well, of course it is a slight bump up in terms of annual payout – not as much as hoped, but more is always better. It also should help us cut down on travel expenses and allows us to rebuild some rivalries that were starting to blossom in CUSA (back with USF and more recently with UCF). Those rivalries will mean more meaningful games which will convert to more lucrative deals going forward. Rivalries will fuel exposure…like it or not, we need UCF (and they need us, too)! That latter point is an important one. ESPN will air a ton of BE games…albeit that many might be off-week fillers (e.g., Thursdays or Fridays) but it will be exposure and it will include Big East games with some name recognition. 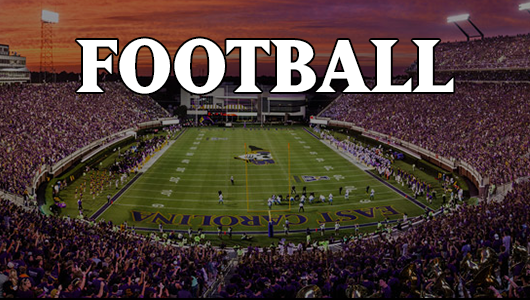 Face it, a Cincinnati-ECU game will have a higher TV rating than ECU-USM…it just will. Plus with the teams ECU will play being more geographically concentrated, the future TV markets will be clear for all league members, which will allow us to focus growing our brand in very specific areas rather than trying to cover the whole country. Our future, whether in the BE or another to be determined conference lies in becoming a brand along the East Coast. It matters little what our brand is – really – across the Mississippi, so this league helps. ESPN owns the sport of college football, so I believe that we had no choice but to jump back into their pockets, caste system or no. And, we should all do well to remember that ESPN was very good to us in the past and, IMO, actually really likes us as a program which may lead to more of our games getting aired than some conference compatriots. We have to look beyond what is honestly paltry money – for the short term – and recognize that for our program, this was a great move overall despite the disappointing TV deal. If we can all lock down the conference via a shared vision and then role up the sleeves and work on increasing the brand, then we have a great chance. We need for ECU to become a cornerstone (from an exposure/success POV) for the Big East to position for the next step. If we can slip in for all sports, then our basketball will continue to flourish as we can start picking up some of those DC, NY metro, and Philly kids who can help take the hoops to a new level. The BE conference will still be a pretty decent hoops league if some of the other new schools can figure out a way to rise to the occasion. With Cincy, Memphis, and UConn to lead the way, there is no reason why UCF, SMU, and ECU cannot grow into a nice mid-level BE program with some TV appeal. I just wish this was all on for a 2013 start rather than 2014. But, hey, you never know…could change in an instant. I think that our program should start pushing a ton of programs to establish awareness in the DC, Philly, and NY metro area ASAP…get the name out there, organize our Pirate Club arms to start the news mill in those areas, push recruiting up the I-95 corridor…do it now. Take out ads, blend academic and athletic recruiting events, do what is necessary to tell the world up here that ECU is coming and is intent on helping to define the new Big East. If we do so, we solidify our brand which will be further fueled by ESPN. We now know the payouts…so the real victory here is garnering a lion’s share of the exposure. We need to renew our “darling” status with ESPN. It would be a fine final act by Coach Holland to spearhead the relationship building with ESPN to position ourselves to be that darling again. It wouldn’t take much as I believe the network still likes our brand. When we shot out of the gates in 2008 with 3 wins…they were all over us…we were all over the network (yes, I know Lou was there), but even now, the network talking heads ALWAYS give a shout out to ECU when one of our boys is doing well in the NFL. We are a good story…we just have to give them the fodder to report it by elevating our on-field performance again. A strong CUSA season will have ESPN touting our arrival in the Big East. An 8-4 team returning a ton of starters should run roughshod over this CUSA league…so we can pave a great brand path into BE for 2014. It is not ideal – this ESPN deal – but it is doable and we can – with some moxie and that old ECU “want power” – make this a huge success and underscore that the move to the Big East was the right one. I am willing to bet we get a lot the games that are released in the 2014 TV schedule, so we just need to keep selling season tickets and SHOW UP so that the visuals match the intensity of our game-day product. ESPN was the way to go. Still hate the network that it has become but by 2014…I am sure I will begin singing a different tune. Much prefer this than the NBC deal. Thoughts all…would love to hear them.